These conditions of booking, modification and cancellation refer exclusively to individual bookings (simultaneous booking of a maximum of 5 plots/holiday houses/apartments/mobile homes/trailers or tents – hereinafter referred to as “units”). The simultaneous booking of at least 6 “units” is considered a group booking where special booking, modification and cancellation conditions shall apply. Camping Mirabella accepts accommodation bookings exclusively through the online booking system. We can only give you information via telephone (which is not considered an offer). Within a short period of time after receiving the data by e-mail, the quotation (which is considered an offer) is sent to the caller, who can accept the offer by reply to the e-mail by placing the booking exclusively in written form or through the online booking system. 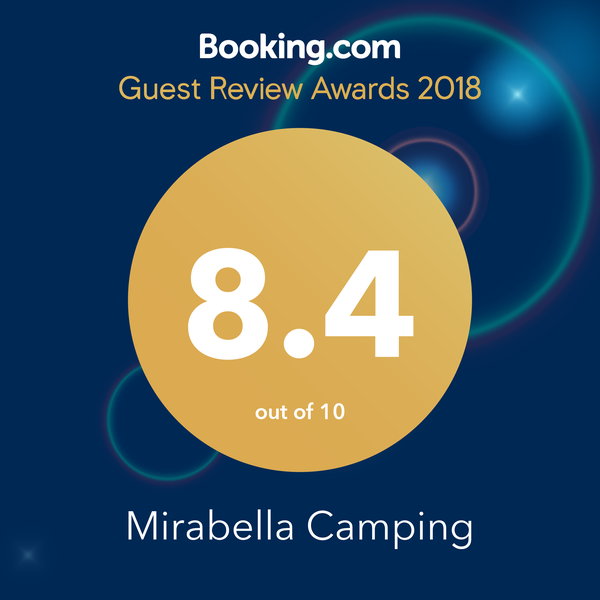 In order to simplify contact establishment for guests, Camping Mirabella operates a booking system which can be found on the main page of our web site (www.mirabellacamping.hu). We would like to ask our guests with booking intentions to fill in the fields in the booking system exactly and correspondingly, particularly when it comes to indicating contact data (telephone number, e-mail and postal address). Guests are responsible for the accuracy of the data indicated in the booking. If a guest cannot be reached via the telephone number or e-mail address indicated in the booking data or the contact data turn out to be incorrect and therefore the booking cannot be confirmed, Camping Mirabella reserves the right to cancel the booking which also erases the claim for accommodation. We would like to ask our guests to enter any questions regarding the accommodation in the column “Remarks”. Guests coming with children are asked to indicate the age of the children correctly. In the case of bookings by e-mail, we would also like to ask you to indicate the necessary data in the online booking system: name, telephone number, postal address, e-mail. On the phone we can only provide you with information. With their booking of accommodation, the guest confirms that they are aware of the booking, cancellation and payment conditions, that they have read and accepted our house rules and that they take financial responsibility for the used services and for any damages caused. In the case of an inquiry, Camping Mirabella sends the guests a written offer which shall not be considered a confirmation. When the offer is accepted in written form, the booking becomes final with the confirmation sent back. These conditions of booking, modification and cancellation also refer to guests whose bookings were made through other platforms offering accommodation at Camping Mirabella (online accommodation portals and travel agencies). If the information provided by other platforms differs from the data on the website of our camping site (www.mirabellacamping.hu), the information contained on our own website shall prevail. The campsite does not take responsibility for such differences and the possible damage incurred. Parties shall always attempt to settle their disputes arising from the accommodation contract in an amicable way. . If the matter cannot be settled amicably, the parties will take legal action in order to settle their dispute. For the settlements of their disputes arising from this contract, dependent on the competence, parties accept the exclusive jurisdiction of the District Court of Siófok and the Regional Court of Kaposvár. If, for any reason, you cannot arrive on the day indicated in your booking and you inform us of that prior to your planned date of arrival, we can maintain the booking of the plot or accommodation reserved for you for a maximum of 1 day. In the case of failure of notification, we can only offer any available accommodation units which may not match your initial booking. In the case of earlier arrival it may also happen that we cannot provide you with any accommodation. In the case of booking demands related to a particular holiday house, mobile home or plot number, we can reserve the desired accommodation for an additional charge of 15.000,- HUF if it is available. However, if we are unable to provide the booked place due to technical or other reasons, we will reimburse the extra charges. These deposit conditions refer exclusively to individual bookings (simultaneous booking of at most 5 “units”). The simultaneous booking of at least 6 “units” is considered a group booking where special prepayment conditions shall apply. A deposit of 20.000,- HUF (or 100 Euro) has to be paid for some mobile homes, which will be refunded on departure if the equipment and furnishings of the mobile home are available without defects. Camping Mirabella requires a deposit of 50%. The deadline for the deposit payment is the 8th day from the booking date. In case of payment with SZÉP card, the deadline for the deposit payment is 15 days from the date of booking. We can only guarantee the booked services if the deposit arrives by the payment deadline. We kindly ask you to provide all booking documents on arrival. The amount of deposit indicated by us does not contain the charges of the bank transfer. These costs shall be borne by you. The remaining amount of the accommodation fees, the possible additional costs (e.g. extra charge for a lakeside plot, fees for extra persons and so on) and the tourism tax shall be paid upon arrival at the reception of the camping site. The day when the written cancellation is received is considered as a day of cancellation. In the case of cancellation, we can return the paid deposit by bank transfer. We transfer the amount reduced with the possible cancellation fee. On-site refunds are not possible. The bank charges of the refund transfer shall be borne by the customer. The deposit paid with SZÉP-card cannot be refunded in cash. The amount can be transferred back to the SZÉP-card. The modification of your booking prior to your arrival is only possible after a written consultation with the camping operator. The change of the arrival and departure dates are considered a modification of the booking. We cannot accept a reduction of the length of your stay after arrival. In this case the entire booked time shall be paid for. In the case of certain plots, holiday houses/bungalows and mobile homes, the camping operator is entitled to demand the entire accommodation fee as a deposit prior to the day of arrival. Please be aware that you can reduce the costs arising from a possible cancellation by taking out cancellation insurance. The House Rules of the campsite contain important rules you are obliged to comply with. We would like to call your attention to the fact that during the peak season the entrance/gate of our camping site is closed from 11.00 pm to 06.00 am in order to guarantee a good night’s rest for the camping guests. These closing periods are valid at all opening times of the camping site. In the indicated period arrivals and departures as well as the entire vehicle traffic shall be stopped. The right to changes is reserved. We look forward to your visit and we will do everything to make your stay as relaxing and pleasant as possible.